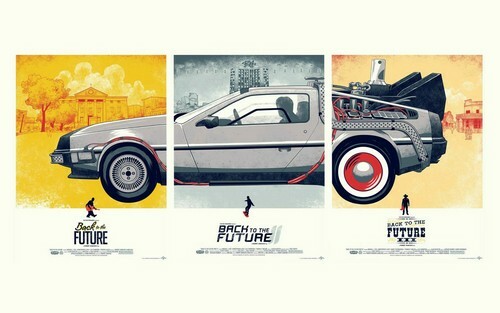 Back to the Future Poster. Poster 의해 Phantom City Creative. HD Wallpaper and background images in the Back to the Future club tagged: back to the future poster back to the future part i back to the future part ii back to the future part iii part i part ii part iii. This Back to the Future fan art might contain 스포츠 유틸리티, 스포츠 유틸리티 차량의 u 개의 v, suv, 스포츠 유틸리티 차량, u v, suv의, 트렁크 문이 위로 열리는 자동차, 트렁크 문이 위로 열리는 자동차 문, 트렁크있는 사람, 트렁크 문이 위로 열리는 문, 해치백, and 해치백 도어. Michael J. 여우 as Marty McFly ` Back to The Future!